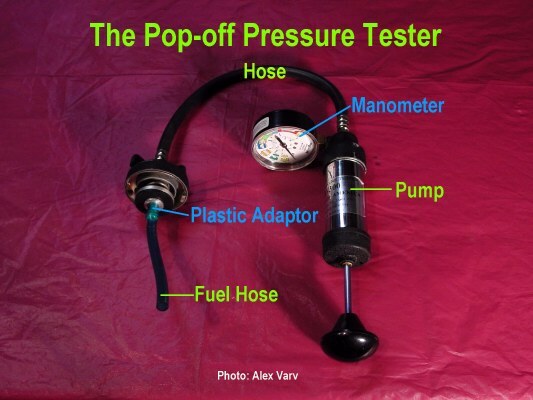 In order to function properly, any membrane carburetor needs a well set pop-off pressure. The pop-off pressure is the pressure at which the needle valve will open thus letting the fuel to enter the metering chamber. The value of this pressure is a function of the engine, power output and other factors and it will directly affect the air-fuel mixture that the carburetor will deliver to the engine. It is true that the mixture adjustments are done by the HI and LO screws but if the pop-off pressure is too high, it can lead to fuel starvation especially at high RPM. Such a situation will cause engine overheating and possibly lead to a seizure.If the pop-off pressure is too low, the carburetor will have a flooding tendency especially at low and mid RPM. It will also cause difficulties in restarting a warm engine. 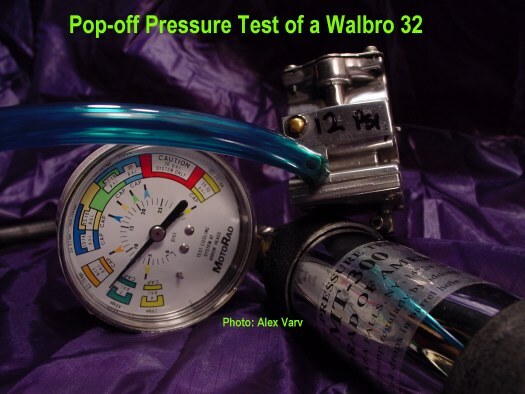 After years of experimenting with the Walbro carburetor, I can tell that every carburetor that I tested had a different pop-off pressure setting. The big problem here is that these carburetors were bought from different dealers that sell paramotors. In other words, some carburetors mounted on these engines having a too high pop-off pressure may present an engine seizure hazard. Most of us, PPG pilots, use Solo based paramotors. The great majority of these machines use the Walbro 32. After many experiments, I found that the best pop-off pressure for this type of carburetor is from 10psi to 12psi. The Cors-Air engine works best with the pressure not exceeding 11psi. All four off-shelf carburetors that I presented at the top of the previous page had different pop-off pressure settings. Three out of four had a too high value. (14psi, 15psi and 15psi) This pressure is dangerous for the Solo engine. As stated above, it can lead to overheating and seizure. If more pilots installed at least a cylinder head temperature gauge on their machines, they would start to worry seeing at what engine temperatures they really fly! Many carburetor problems are directly related to the pop-off pressure. After receiving many letters regarding this subject, I decided to present a material that hopefully, will help our pilots to measure, increase or decrease the value of this pressure in order to get the best but safe performance of their carburetors and to prevent running a hot engine. For this article, I put together a very accurate gauge. This can be done by every pilot. It consists of an automotive cooling system pressure tester with two additional parts mounted on it. It is very simple to make, easy and accurate . This device can be purchased at every automotive store and can be used for its main purpose by just removing a plastic adaptor and a fuel line that is added to it. 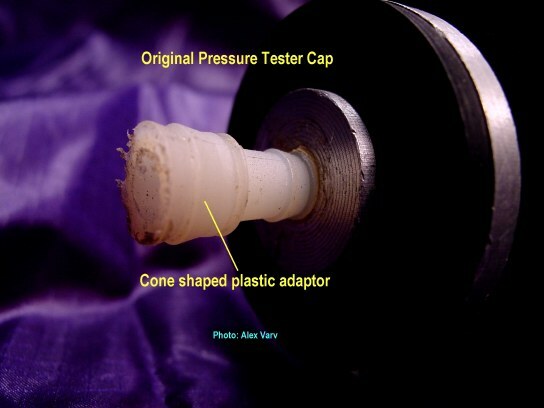 The plastic adaptor is conical and was sealed in the cap with Locktite. 1) Before testing we must make sure that the carburetor is "wet" inside. If it was overhauled, before testing, it needs to have fuel inside. Otherwise the pressure value will not be accurate. 2) Connect fuel hose to the fuel inlet of the carburetor. 3) Start pumping until 8 Psi of pressure are achieved. 4) Stop pumping. If the pressure holds, the needle valve closes tight. It the pressure drops the needle valve (and seat if we test a Tillotson) needs to be replaced. 5) Increase pressure until a sudden drop is noticed. This means that the needle valve opened. The value at which it opened is the pop-off pressure. The picture below shows a Walbro connected to the tester. In case of the Tillotson carburetor, the pop-off pressure can be checked even if the carburetor has all the gaskets and membranes removed. 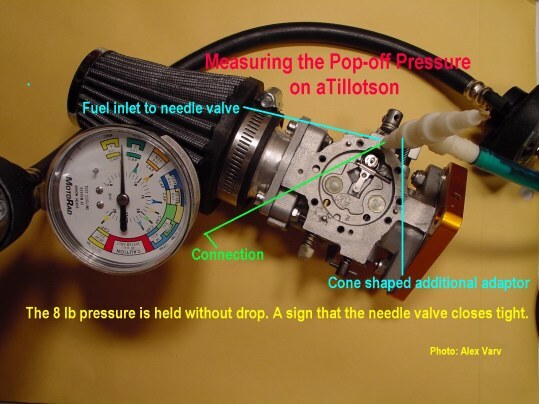 The pop-off pressure on the Tillotson can be measured like in the case of the Walbro as well, connecting the hose directly to the carburetor fuel inlet. As mentioned at the beginning of this article, the pop-off pressure plays a very important role in the proper functioning of a carburetor. The pop-off pressure needs to be adapted to the given engine. Most carburetors do not come with the same preset pressure values.Very often they have too high values thus without being set individually, the pilot, unfortunately will risk a lean running engine which may end with overheating. I have seen engines seize, or pilots complaining about very hot running engines many times. They stated that the carburetor tuning was well done. 1) Too high pop-off pressure leads to fuel starvation, hot engine, overheating and even seizing, if the engine is run at full power for long periods of time.A good indicator of this will be of course a high temperature reading on the CHT, EGT or a very "clean" white-gray spark plug insulator. This is NOT an indicator that the oil used in the mixture is good and burns clean! It shows that there is TOO much AIR in the mixture and not enough FUEL. The combustion is done in excess of oxygen. Such a combustion generates excessive heat. 2) A too low pop-off pressure will cause a too rich mixture which is not really dangerous for the engine on the short run but will decrease its performance and cause too much carbon buildup. On the long run, the excessive carbon deposits may fragment, get caught in between the piston and the cylinder wall and cause scoring. If not detected in time, this deposits will sooner or later "load the spark plug" cause a short and an engine out. Symptoms: engine flooding, difficult warm engine starts, rough mid range RPM,Lowered maximum RPM of the engine. Using the above described method, with a wet carburetor, we measure the pressure. A) If it is too high, which usually is the case with a new Walbro 32 we need to use a weaker spring under the metering lever. 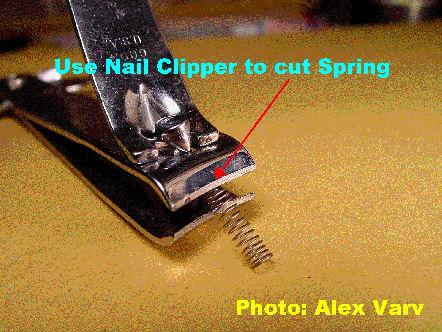 Because the Walbro repair kits do not contain a spring, we can shorten the spring by cutting off one turn at a time.This is a very delicate operation and as the operator will see, removing only one turn can make a big difference. After this first "adjustment" the spring needs to be reinstalled, the carburetor assembled and a new pop-off pressure measurement performed. If the pressure is still too high, we can cut another turn. I would like to emphasize one more time that ideally we should have different tensioned springs. However if done carefully the above method will be satisfactory. 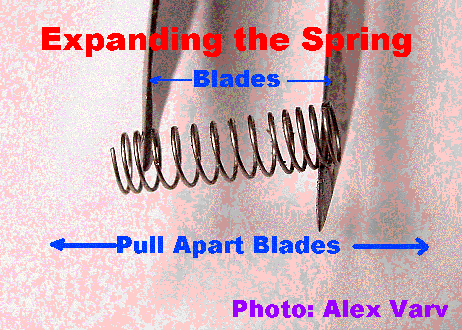 B) In order to increase the pressure we need to use a stronger spring or very carefully expand the existing one. This operation needs to be done in very small increments. Otherwise we will end up with a very high pressure. Expanding and then cutting the spring a few times will weaken it and we will end up with an erratically working carburetor. 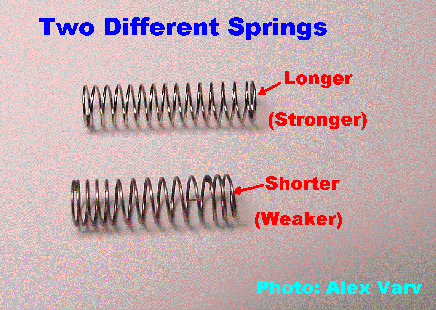 If possible, different springs should be used. The above values are just general guide lines and depending on altitude, temperature and other specific factors (airbox or air filter) the may be slightly different. However the above values will satisfy the average pilot.